khamira for brain.It is very well known for helping to improve the memory, reduce stress, calming the brain, and for assisting in learning improvement. KHAMIRA FOR BRAIN ALSO WORKS IN HEART AND EYES 2. CONTENTS:GOLD Leaf, silver leaf, ambar, jawahar mohra [ ruby(manek), pearl (moti), red coral (moonga), emerald(panna), blue sapphire (neelam),hessonite (gomedh), cats eye( vaiduryam), yellow sapphire(pukhraj), sapphron]and various other herbs. RETENTION- An ability to recall or recognize what has been learned or experienced; memory. the ability of the mind to remember information acquired from reading, observation, or other processes. GRASPING ABILITY-means how fast you understand things. 'Low grasping' in behavior is a common negativity that weakens the functioning. It occurs in all age groups. It is a normal negativity. Although they read, listen, hear like a normal person; but cannot grasp properly; means their grasping efficiency is reasonably low than that of normal. Many people unable to express their feeling properly; probably due to not being able to make sense of the letters or numbers. A person with a low grasping potential may experience a cycle of academic failure and lowered self-esteem and this can bring overwhelming frustration in them. Low grasping can be lifelong conditions that, in some cases, affect many parts of a person's life: school or work, daily routines, family life, and sometimes even friendships too. Low grasping or let go tendency affects at many life issues like delay in acquiring language, manners, academics, or some specific skills. Usually low grasping people appear to daydream excessively. lProbable causes of low grasping or let go tendency may be genes, substance abuse, pregnancy problems, and toxins may affect the developing brain. INSOMNIA- Insomnia is a very common sleep problem. Insomnia is the inability to get the amount of sleep you need to wake up feeling rested and refreshed. insomnia is defined by the quality of your sleep and how you feel after sleeping—not the number of hours you sleep or how quickly you doze off. Even if you’re spending eight hours a night in bed, if you feel drowsy and fatigued during the day, you may be experiencing insomnia. Insomnia takes a toll on your energy, mood, and ability to function during the day. Chronic insomnia can even contribute to health problems such as heart disease, high blood pressure, and diabetes. FORGETFULNESS- Forgetfulness is a persistent failure to remember. It results from changes in the brain and can be a normal part of aging or a symptom of another condition or disease. When you experience forgetfulness, you may find it harder to recall information or events, learn new things, or form new memories. Common causes of forgetfulness include aging, side effects from medications, trauma, vitamin deficiencies. anxiety or depression can all cause forgetfulness. IRRITABILITY- Irritability is a state of extreme sensitivity to stimulation of any kind. Very often these people feel stressed, impatient or might easily become angry.OR it is a behavior or response to people or circumstances that cause annoyance or frustration. While it can be a normal temporary symptom of stress or anxiety,. IT can be related to psychiatric conditions, such as anxiety disorders, depression. Drug, alcohol, or tobacco withdrawal can also cause irritability. 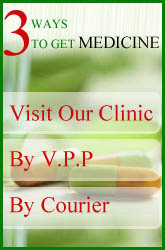 IT can also be related to medication side effects or chronic medical conditions. Medications can directly affect the nervous system, which can result in irritability. Irritability can also result from conditions that can deprive the brain of nutrients and oxygen, such as cardiovascular and lung diseases. STAMMERING- stoppages while saying anything or disruptions in fluency which interrupt the smooth flow and timing of speech can be called stammering. Attempts to say something may be interrupted by repetition of a syllable, prolongation of the sound or a complete block on speech.,.some humans involve silent blocking of the airflow of speech when no sound is heard. People who stammer may find they are quite fluent if they sing, whisper or speak as part of a group. EXAMINATION PHOBIA- The day before the examinationSTUDENTS USED TO BE .nervouss and having lack of intakes like eat, drink or relax.sumtimes butterflies in the stomach.are common sign of phobia.some student afraid of examination despite putting of their good efforts and sumtine students refused to take examination even after a good preparation.normally called examination phobia. HYSTERIA- Behavior exhibiting excessive or uncontrollable emotion, such as fear or panic. A mental disorder characterized by emotional excitability and sometimes by amnesia or a physical deficit, such as paralysis, or a sensory deficit, without an organic cause. MIRGI- A chronic disease of the nervous system, characterized by convulsions, and often unconsciousness.A medical disorder involving episodes of irregular electrical discharge in the brain and characterized by the periodic sudden loss or impairment of consciousness, often accompanied by convulsions. 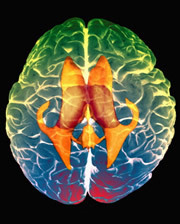 When nerve cells in the brain fire electrical impulses at a rate of up to four times higher than normal, this causes a sort of electrical storm in the brain, known as a seizure.A pattern of repeated seizures is referred to as epilepsy and known causes include head injuries, brain tumors, lead poisoning, maldevelopment of the brain, genetic and infectious illnesses. SUDDEN PANIC ATTACKS , discrete periods of intense anxiety, fear and discomfort that are also associated with a variety of mirgi . PARKINSON - Parkinson's disease (PD) belongs to a group of conditions called motor system disorders, which are the result of the loss of dopamine-producing brain cells. The four primary symptoms of PD are tremor, or trembling in hands, arms, legs, jaw, and face; rigidity, or stiffness of the limbs and trunk; bradykinesia, or slowness of movement; and postural instability, or impaired balance and coordination. As these symptoms become more pronounced, patients may have difficulty walking, talking, or completing other simple tasks. PD usually affects people over the age of 50. Early symptoms of PD are subtle and occur gradually. In some people the disease progresses more quickly than in others. As the disease progresses, the shaking, or tremor, which affects the majority of PD patients may begin to interfere with daily activities. Other symptoms may include depression and other emotional changes; difficulty in swallowing, chewing, and speaking; urinary problems or constipation; skin problems; and sleep disruptions. There are currently no blood or laboratory tests that have been proven to help in diagnosing sporadic PD. Therefore the diagnosis is based on medical history and a neurological examination. The disease can be difficult to diagnose accurately. Doctors may sometimes request brain scans or laboratory tests in order to rule out other diseases. A substance called dopamine acts as a messenger between two brain areas - the substantia nigra and the corpus striatum - to produce smooth, controlled movements. Most of the movement-related symptoms of Parkinson's disease are caused by a lack of dopamine due to the loss of dopamine-producing cells in the substantia nigra. When the amount of dopamine is too low, communication between the substantia nigra and corpus striatum becomes ineffective, and movement becomes impaired; the greater the loss of dopamine, the worse the movement-related symptoms. Other cells in the brain also degenerate to some degree and may contribute to non-movement related symptoms of Parkinson's disease.Parkinson's disease is not understood. In general, scientists suspect that dopamine loss is due to a combination of genetic and environmental factors. PSYCHOLEPSY-A condition characterized by sudden mood changes accompanied by feelings of hopelessness and lethargy. This KHAMIRA is used to get better the process of learning, restore memory, improve the power of speech and imagination, ease nervous and mental strain, and is employed in cases of insanity, epilepsy, hysteria, aesthenia, and nervous breakdowns.Taking THIS can assist you in experiencing a better sense of well-being during periods of restlessness, anxiety, insomnia, fatigue, cloudiness of thought, and an overactive mind. Very useful in the cure of Attention Deficit Disorder, this THING induces a sense of calm and peace while facilitating concentration by stimulating neural activity. It is Diuretic, Cardiac, Nervine and Tonic. It is reported to get better intellect, treatment of asthma, hoarseness, insanity, epilepsy. It is a potent nervous tonic and is anti anxiety agent. It is considered excellent for the heart. This KHAMIRA is used to get better the process of learning, restore memory, improve the power of speech and imagination, ease nervous and mental strain, and is employed in cases of insanity, epilepsy, hysteria, aesthenia, and nervous breakdowns.Taking THIS can assist you in experiencing a better sense of well-being during periods of restlessness, anxiety, insomnia, fatigue, cloudiness of thought, and an overactive mind. Very useful in the cure of Attention Deficit Disorder, this THING induces a sense of calm and peace while facilitating concentration by stimulating neural activity. It is Diuretic, Cardiac, Nervine and Tonic. It is reported to get better intellect, treatment of asthma, hoarseness, insanity, epilepsy. It is a potent nervous tonic and is anti anxiety agent. It is considered excellent for the heart.